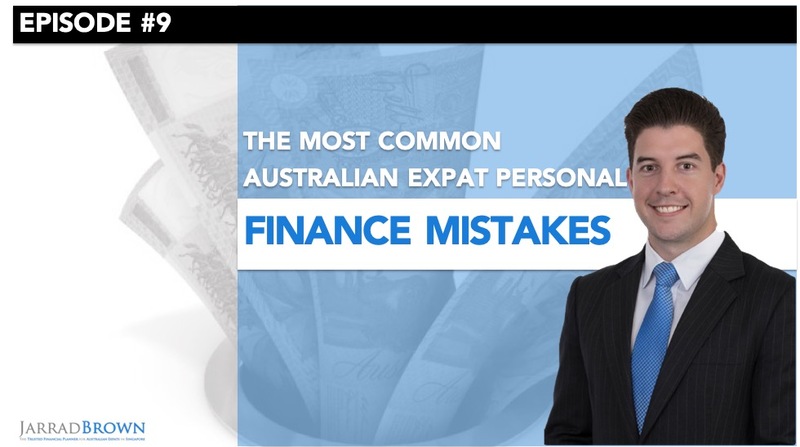 Welcome to my video series, where we explore the key personal finance topics for Australians living at home and abroad. One of the most common things I hear about living in Singapore is “my goodness, it must be so expensive to live there”, and in some ways, it is, but what we often forget is just how quickly the cost of living has actually risen back home in Australia. In today’s video, what I’d like to explore and compare is how the two actually stack up. Singapore is often ranked as one of the world’s most expensive cities to live in, and in many ways, that is no surprise. There are certain goods here that cost a lot more than they do back at home. 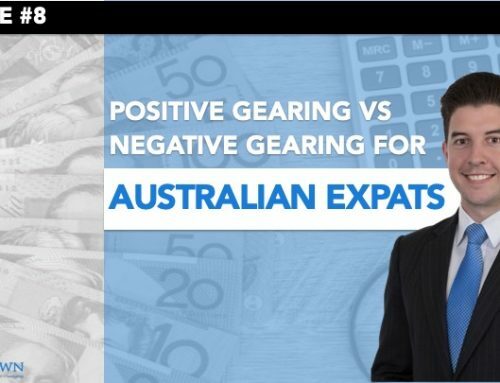 My hope is that this video will serve as a handy tool, and a little bit of an eye-opener for anyone either considering moving to Singapore, or looking at even moving back Australia, and wondering how the two compare, in terms of your own saving and cost of living. How do property costs compare? 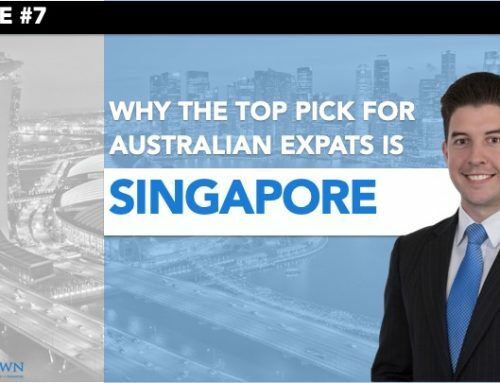 While purchasing a property in Singapore can be significantly more expensive than doing so back home in Australia, the actual ongoing costs are not terribly different. In the following table, you’ll see exactly how the two compare, based on data from 2018. As you can see, the rental prices for those who’d like to be closer to the city in Singapore can be a little higher for most people. However, the utility bills and costs of having a cleaner are actually significantly cheaper in Singapore compared to back in Australia. It’s important to do your homework, and if you are looking at moving to Singapore, consider where you’d like to live and the areas that might be a little bit cheaper. What about the weekly grocery bill? 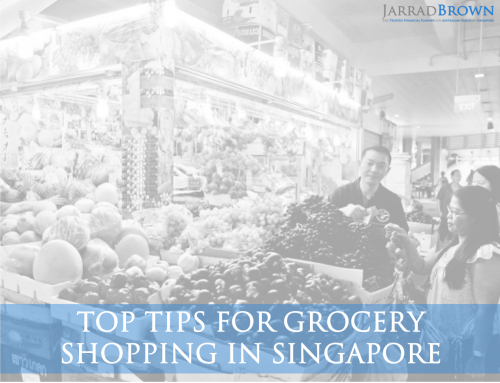 When it comes to the weekly grocery shopping, certain items in Singapore can be a lot more expensive than they are back home in Australia. This is reflected in the following table of common Australian household goods. 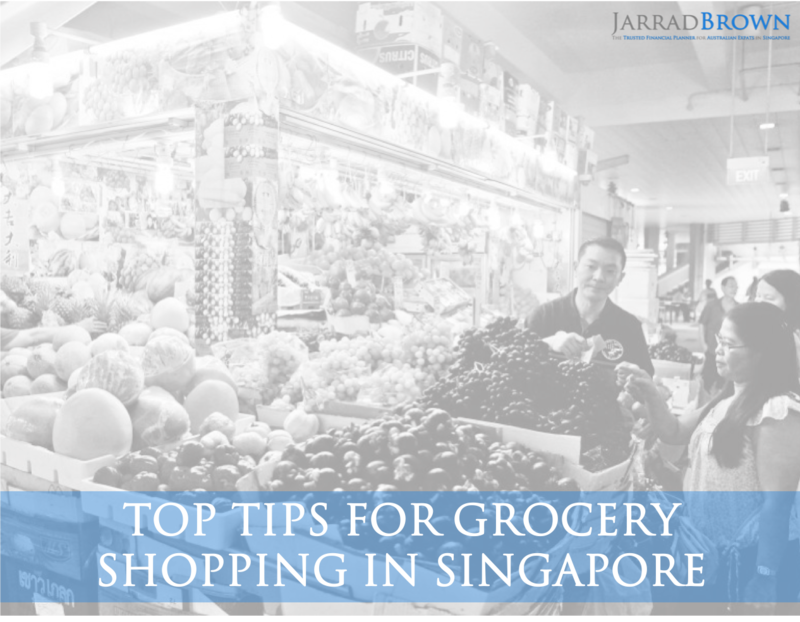 As you can see, there are many grocery items that are actually not terribly different between Singapore and Australia, however when it comes to both alcohol and dairy, you will start to notice a significant difference. The $5 or $10 bottles of wine really just don’t exist here in Singapore, given the way the tax is structured. And a carton of beer, well that’s in all likelihood going to set you back at least double the price, and that’s generally if it’s on special. For dairy lovers, particularly if we’re looking at Australian brands, they’re going to be quite a bit more expensive here in Singapore, than they are back at home. It’s important to do your homework, consider the brands you’re buying, and if you’re looking at saving money on the weekly groceries, consider alternatives. How much does dining out set you back? When it comes to dining, one of the many great aspects of life in Singapore, is that you can do so at both ends of the spectrum. If you’d like to go out for a $3 meal of chicken rice, you can do exactly that, and if you’d like to go out for a $300 steak, it’s also widely available, and as well as everything in between. Let’s have a look at how the two compare with common dining expenses. As you can see, most meals for most dining options are actually quite similar between Singapore and Australia. Where you will start to notice the difference, is as I mentioned, in Singapore, you can go out for that $3 or $4 meal for lunch or dinner. When it comes to a bottle of wine with dinner, that’s in all likelihood going to set you back significantly more than it will back home in Australia. Consider your options, look at for specials, and take advantage of promotions as they arise. What about getting around the city? As you’ll see from the data, the cost of buying a vehicle in Singapore is a lot higher, so it is important to consider whether you will need one, or whether you can rely on both taxis and public transport. What you’ll also notice from the data is that public transport in Singapore, is significantly cheaper than it is back at home, not to mention a lot more efficient, much cleaner, and much more frequent. It is very easy to get around the city in Singapore. As you can see from the data that we’ve been through today, the cost of living between both Australia and Singapore in aggregate are not terribly different, but it is important to do your homework, consider where you’d like to be dining, consider your weekly groceries, whether you’ll need a car, how you plan to get around the city, and where you’re going to live. All of these variables will make a significant difference to your lifestyle in Singapore, and how much you’re able to save and accumulate on a regular basis. Do your homework and explore your options. If you have any questions at all about life in Singapore, whether you’re considering a move to Singapore, or you’re just looking at your options, feel free to reach out to me on the contact details provided, I’d be happy to explore how we can help. Likewise, if you have a key personal finance question or topic that you’d like me to explore in a future video, let me know and I’d be more than happy to consider it. Thank you and see you next time. 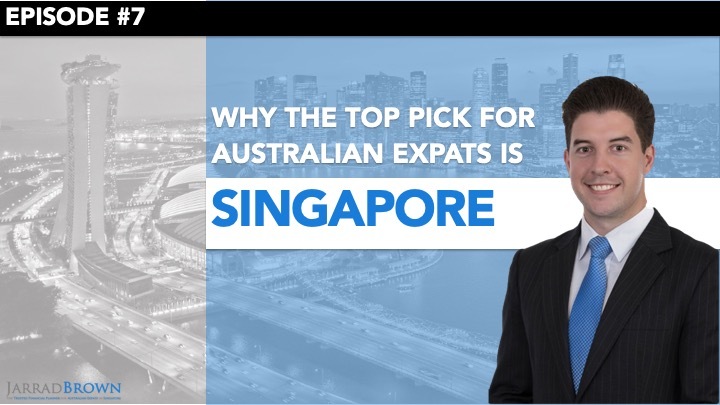 Australian Expatriate Group is a division of Global Financial Consultants in Singapore providing specialist advice to Australians living abroad. General Information Only: The information on this site is of a general nature only. It does not take into account your individual financial situation, objectives or needs. You should consider your own financial position and requirements before making a decision. 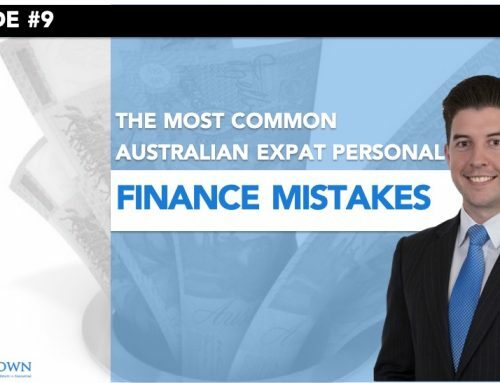 *Please note that Jarrad Brown is not a tax agent or accountant and none of the content outlined here should be taken as personal advice. You should consult your tax agent and financial adviser to review your current personal finances and financial goals to consider whether this strategy is appropriate for you. 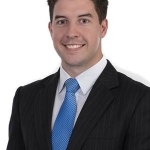 Jarrad Brown is the trusted fee-based financial adviser in Singapore working with professional expats in the region. 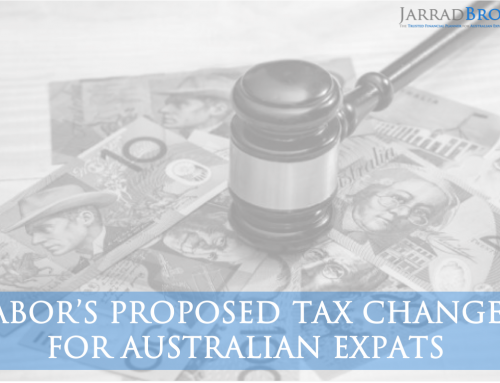 An Australian qualified and experienced Financial Adviser, Jarrad provides specialist advice to Australian expats as well as other nationalities. 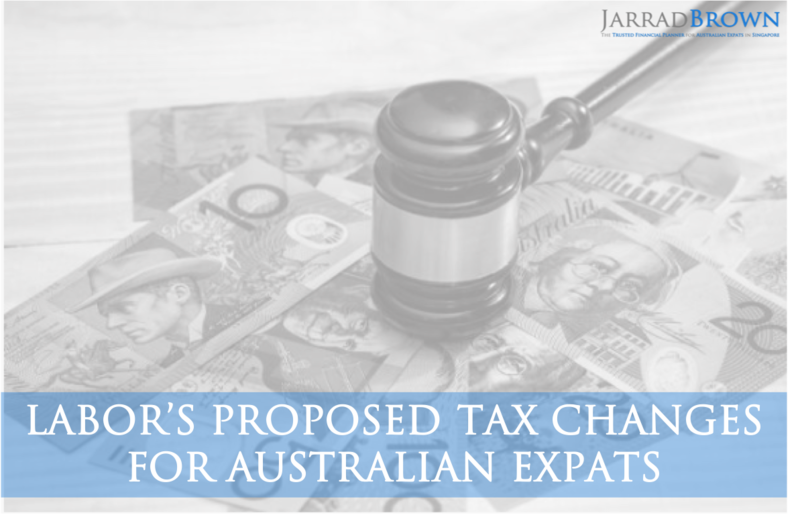 How Might Labor’s Policies Impact Australian Expats?